Motto of International Academy of Ayurved is to educate people around the globe for awareness on Ayurved and its various fields. International Academy of Ayurved was established in 1996 under the dynamic leadership of Prof. Subhash Ranade, Dr. Sunanda Ranade. The main aim of the IAA is propagation of Ayurved in India and Abroad, providing Ayurved education to Indian as well as foreign students, publication of books on Ayurved, organizing National / International seminars on various topics related to Ayurved and Yoga and manufacture of genuine Ayurved medicines. IAA conducts various courses for students. The Basic courses are online and other Practical courses are -basic and advance types which are taught at the IAA centers in Pune. These courses are of 2 or 3 weeks. We also arrange customize courses according to need of students or Institutes. So far IAA has trained over 400 students from various countries all over the World. IAA has published 10 books on Ayurved and Yoga. Amongst these Secrets of Marma and Panchakarma books are very popular. IAA membership is by selection and not by application. IAA selects only those Ayurvedic Graduates who have proficiency in academic field. At present our proud faculty consists of more than 300 Life Members from all over the World. IAA has deputed hundreds of physicians to various affiliated centers around globe for teaching Ayurveda. IAA offers various courses, Lectures, Seminars, conferences for education of people with Ayurveda Our Courses are online and personal conducted in India. Prof. Em. Subhash Ranade and Dr. Sunanda Ranade. Memberships are awarded to eminent physicians in India by invitation and not by application to keep quality of teachers at its best. Dr. Subhash Ranade is one of the foremost experts on Ayurveda. He is leading academician and physician in the field of Ayurveda. He is the author of 155 books on Ayurveda and Yoga. These books have been published in Marathi, Hindi, Malayalam, English, French, Czechoslovakian, German, Greek, Italian, Japanese, Korean, Polish, Portuguese, Russian and Spanish languages. He has worked as Prof. and Head, Dept. of Interdisciplinary School of Ayurveda and Prof. and Head, Dept. 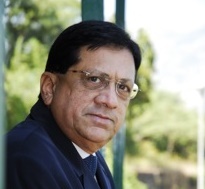 of Ayurveda Pune University and Principal of Ashtang Ayurveda College, Pune, India. 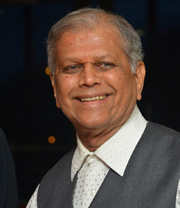 Professor Subhash Ranade has given many television interviews on Ayurveda, not only in India but also in USA, Poland, Italy, Germany, Brazil and Chile as well. He has also attended many International and National seminars on Ayurveda and Yoga. He has written hundreds of articles on Ayurveda and Yoga in various magazines and newspapers. He has the honor of being visiting Professor to many Institutes in the United States like Kerala Ayurveda Academy Seattle, Foster city, Los Angeles; Wellness center in Baltimore, USA; SEVA academy Munich, Germany; SKA Ayurveda, Milan, Italy; School of Ayurvedic Culture, Barcelona, Spain; Body-Mind Health, Zurich, Swiss; Ultimate Health Center, Athens, Greece, Ayurvedic International Diffusing Association, Japan, Ayurveda Prema, Post Graduate Institute, Buenos Aires, Argentina; Ayurvastu, Chile; Yoga federation and Associacao Portuguesa de Medicina Ayurveda, Lisbon, Portugal; Israeli Center of Ayurveda, Broshim Campus, Tel Aviv and Shudha Dharma Mandal in Sao Paulo, Brazil. Since 1981, he has visited 75 countries in five continents and conducted hundreds of Ayurveda courses for medical practitioners in Europe, Canada, USA, Brazil, Argentina, Chile, Mexico and Japan. He was also appointed as Visitors Nominee at Banaras Hindu University by President of India for three years. He has received many Awards in India and Abroad. He has been chosen to be included in the website of Indian Autographs. 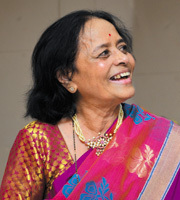 Dr. Sunanda Ranade is Vice-Chairman of International Academy of Ayurved, Pune, India (www.ayurved-int.com) and expert Ayurvedic gynecologist and nutritionist and is working in this field for the last 47 years. Dr. Sunanda Ranade holds the Graduate degree of BAMS and and Doctorate degree in Ayurveda. 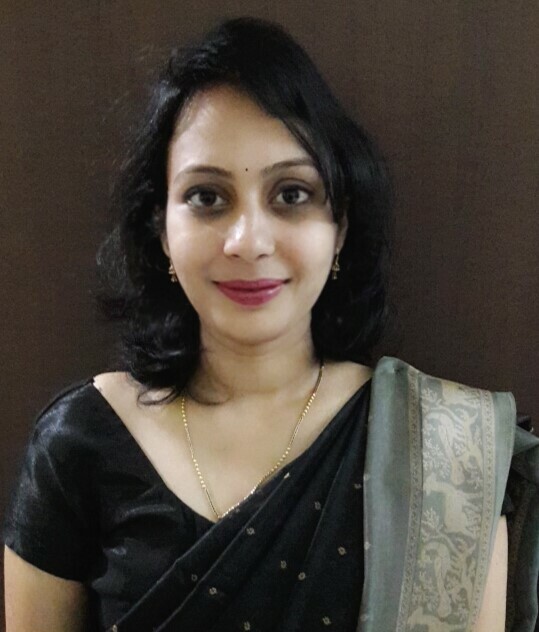 Dr. Sunanda Ranade has written hundreds of articles on Ayurveda, which has been published not only in Indian magazines and newspapers but also in Italy, Germany and USA. She is also author of several books on Ayurveda and Yoga and they have been published in Marathi, English, Spanish and Portuguese language. She is working as visiting Professor to various Institutes in United States like Ayu-Seattle, American Institute of Ayurveda, San Francisco and Vedica Global, Emeryville, USA; Seva Academy- Munich, Germany: SKA Ayurveda- Milan, Italy: Bergler massage school, Graz, Austria; International Ayurvedic Culture, Barcelona, Spain; Yoga and Ayurveda, Lisbon, Portugal; Israeli Center of Ayurveda, Tel Aviv, Israel; Shuddha Dharma Mandal, Sao Paulo, Brazil; Ayurvastu, Chile and Post Graduate Institute, Buenos Aires, Argentina. She has given lectures on Ayurveda at various Universities like University of Bastyr –Seattle, USA; Bogota, Colombia; Mexico and Ecuador. She has conducted many courses on Gynecology, Ayurvedic Nutrition and Ayurvedic massage for physicians and common people in these countries. (www.ayurvedakarmayoga.com) She has substantially contributed for CD ROM –Dhanvantari - that is the first CD on Ayurveda. She has received many Awards - National – Vaidya Yadavaji Trikamji Award for book writing on various Subjects, Pune, India. Life Time Achievement Award at, International Conference, Dubai 2011, Life Time Achievement Award at Rajayucon National conference in Rajkot, International Award for Best Internationally known Ayurvedic Academician from the Association of Nac Sakura Take Kan of Spain and Vagbhat Award for best teaching by AAPNA Conference, Los Angelis, USA 2012. He is Ayurved Physician and Professor and Head of Kayachikitsa Department at Dr. D.Y.Patil College of Ayurved and Research Centre, Pimpri, Pune after achieving M.D. (Kayachikitsa), M.A. (Sanskrit). He is also awarded Ph.D. from Pune University. He has established VEDANSH Ayu Clinic which offers unique Ayurved and Panchakarma treatment. He has participated and presented research paper in Various National and International Conferences. He worked as Principal Investigator of research project on Sickle Cell Anemia, funded by Dept. of AYUSH, Govt. of India. He is visiting Professor at Vedika Global Inc. San Francisco, USA and Shuddha Dharma Mandal, Sao Paulo, Brazil. He has been invited for teaching ayurved for western medicine doctors at International Maharishi AyurVeda Foundation (IMAVF), Vlodrop, Netherlands, Israel Center of Ayurved, Tel Aviv University, Israel and Portugese Association of Ayurveda Medicine, Lisbon, Portugal. He has keen interest in Yogashastra and holds a Diploma in Yoga and Ayurved along with a Certificate course in Yogashastra from Kaivalyadham, Lonavala, Maharashtra. He has 16 years of teaching experience and is a Post Graduate teacher/guide & Ph. D guide in Kayachikitsa recognized by the Maharashtra University of Health Sciences, Nashik and Tilak Maharashtra Vidyapeeth, Pune. He received “Award of Excellence” at International Conference on Ayurved and Yoga at Dubai (UAE). He is an internationally visiting Ayurveda Academician. Since his admission for an Ayurvedic graduation course in 1988, he has been indulged into achieving newer Academic horizons for overall enrichment. As on date, he has following Academic qualifications to his credit –M.D. (Ayurveda), M.A. (Sanskrit), Diploma in Journalism, Bachelor of Law from the University of Poona. He has so far contributed in organizing a number of National & International Ayurveda Conferences /Seminars. His contributions over last 25+ years range from Anchor / Compeer / Master of Ceremony to Paper Presenter / Key Note Speaker / Organizing Secretary for such conferences. Dr. Mandar shouldered responsibility as the ‘Team Leader’ to lead a team of International Academy of Ayurved (IAA) in the largest International Congress on Health, organized by Maharishi Ayurveda in association with the Govt. of Brazil. Dr. Prakash Kalmadi, Medical Director at KARE Ayurveda and Yoga Retreat, set up the establishment in 1999. He has over 35 years of experience in western Medicine which is accompanied by studies in Ayurveda and spirituality. He was encouraged to start the centre after he experienced the efficacy of Ayurvedic Treatment firsthand, when it brought about a dramatic transformation in his own health and wellbeing. He then collaborated with Dr. Srinivasan Nair, of the century old CNS Chikitsalayam in Kerala to start KARE. He is founder and director of Vedicure Wellness Pvt Ltd. This clinic treats of individuals by adopting Indian Holistic Medicine’s (SUP) integrated therapy. This way of treatment is specially designed taking into consideration the limitations of each pathy. This way of holistic treatment involves detoxification & revitalization of vital body organs by Panchakarma process of Ayurveda. Simultaneously it also includes Acupressure, Acupuncture, Physiotherapy, Music Therapy etc. in order to provide overall relief to the ailing human body. B.A.M.S., M.D. (Ayu), D.Y.A., M.A. (Sanskrit), C.C.H. 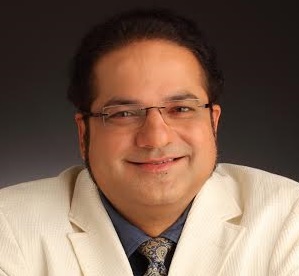 Dr. Abhijeet has his Master Degree in Dravyaguna (Ayurved Herbology) and Sanskrit. He learned Ayurveda by Gurukul Parampara for 12 yrs. He is the owner & Physician at Shree VishwAngad Ayurved, Panchakarma & Yoga Clinic, Pune. He is Honorary consultant at various hospitals. 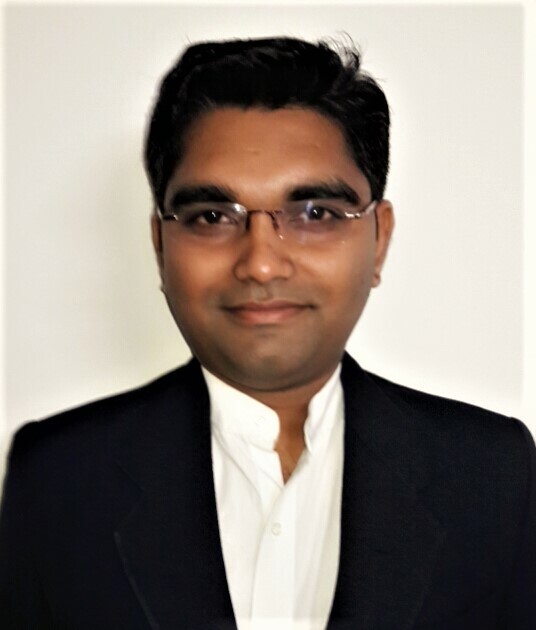 He is Assistant Professor at Department of Dravyaguna of Dr. D.Y.Patil College of Ayurved and Research Center, Pimpri, Pune. He has participated and presented research papers in Various National and International Conferences. B.A.M.S., M.D. 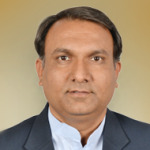 (Ayu), PhD (Scholar),Yogpravesh, C.G.O. Dr Ankita has completed her M.D. in Rasashastra & Bhaishajya kalpana (Ayurvedic Medicine & Diet preparation) and pursuing her PhD in same. She learned Ayurveda from legendary personalities by traditional systems. She is the owner & Physician at Shree VishwAngad Ayurved, Panchakarma & Yoga Clinic, Pune, and also working as Assistant Professor at Rasashastra & Bhaishajya kalpana Department of Dr. D.Y.Patil College of Ayurved and Research Center, Pimpri, Pune. She has participated and presented research papers in Various National and International Conferences and got Best Paper awards for some papers too.